Makeup and beauty !!! 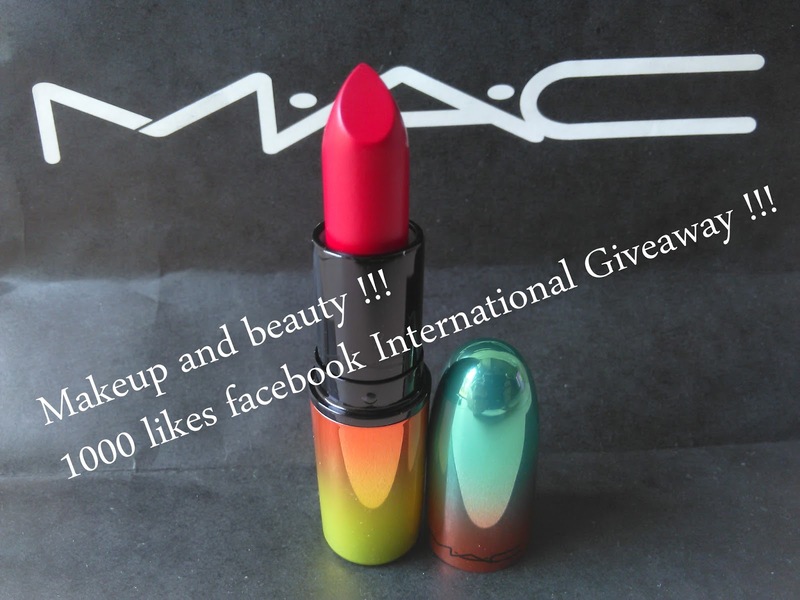 : Makeup and beauty 1000 facebook likes International Giveaway ! Makeup and beauty 1000 facebook likes International Giveaway ! · The product are brand new and purchased by me only. · This giveaway will end on 15August 2015. · This giveaway is open international. · No Unfollowing after giveaway ends. People who unfollow will be banned from future giveaways. · I will choose winner via random.org. Definitely i will pack my level best before i send the product via a reliable courier but i will not be held responsible for loss or damage of the product on the transit. The giveaway is not sponsored , it is brought by my own money. The giveaway is just for fun so kindly keep it on fun level only, no harsh words or comments on blog or anywhere will be tolerate. If anyone found to do so that person will be banned without prior notice by the blog author. Following the rules are mandatory so please take care that you follow all the rules. Kindly don't unfollow after the giveaway , if found anyone doing so that person will be banned totally from my all upcoming giveaways and contests. Thankyou so much dear for this giveaway..
All the best to all the participants. Waiting to see the winner!! Hi toa di, congratulations and thanks for awesome giveaway. Participated and hope to win. I love all your reviews and dislike that you took break from it. Definitely I want to win this giveaway as I don't owe any mac lippie. It's a good chance to win some. Thank you for this amazing giveaway... and congratz for completing 1000 likes... I like the tutorials you have started posting recently..and loved your reviews too. Don't stop posting tutorials plz... I want to win because who doesn't love to have MAC lipstick in her makeup kit...... Hope to win.. I really like your blog, especially the tutorials you have posted. thank you for the wonderful giveaway..the prize is so tempting.. I love reading about make up so more of them please and would love to win your giveaway. Cause I haven't tried anything from Mac! 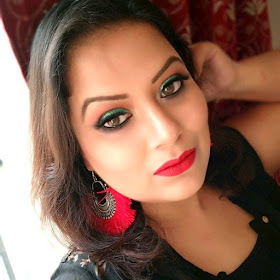 Thanksss for hosting such an amazing Giveaway.I am crazy about lipstick.You can say I am Lipstick addict. i really wanna win this awesum lipstick from MAC. because I love trying new makeup and I LOVE mac..
and im a loyal reader of your blog!!! hmm I thnk you should post more pics of yourself because you're so pretty!! HI thank you for the amazing giveaway.. I love Lipsticks and I would give all my efforts to win this MAC Lipstick and I don't have any Mac Lipstick either. I just love the way you accessorize yourself with all those metal rings and necklaces..